I’m very loyal to the brands that I determine to be worthy of my love. Currently the brands on this list include Lexus, Apple, Nike, Palm, Canon, et al. Now I’m proud to announce that I have two additional brands to add to this list: Polycom and Pilot. These brands have maneuvered their way into my heart through their products, the SoundStation and the Precise V5, respectively. When I was 10 years old my dad took me to his real estate lawyer’s office for a client’s house closing. I wandered around the place taking mental pictures with hopes of replicating everything in my own office one day. 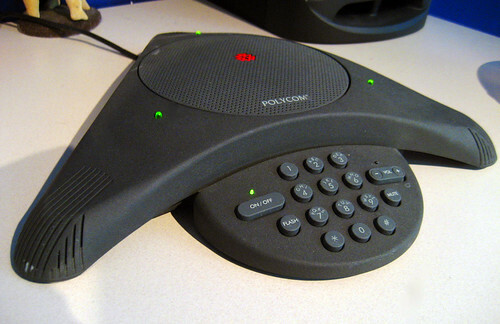 When I went into their conference room I laid my eyes on their conference telephone–the Polycom Soundstation. It seemed cool and futuristic to me and I wanted to use it, but my dad told me not to touch anything otherwise my fingers would fall off…and I needed those fingers. Six years later my sister got a job in a lawyer’s office and she brought me along one day to help out with office tasks. Once again, I entered the office “bright eyed and bushy tailed” to get ideas for my own office. I entered the conference room where there was a huge table where the centerpiece was the Polycom Soundstation telephone. Again I was not allowed to play with it for fear of it breaking. These two experiences caused me to equate successful businesses and high-powered executives with the Polycom Soundstation EX conference phone and I had to have one! After graduating from college, I set aside a portion of my first paycheck to purchase the phone and after setting up a dedicated phone number, I’ve been using the Polycom in my home office (which has recently been relocated to my bedroom) ever since. Hands down the best quality land-line telephone that I’ve ever used. Very rarely does a pen combine a perfect weight with a perfect ink flow, and a perfect balance, and a perfect color hue, and a perfect barrel diameter, but somehow Pilot accomplished the incredible feat with this pen. I know I sound like the crazy cat-lady who lives in the attic of the old, dark house with weeds in the front lawn who obsesses over the most insignificant things, but I love this pen. 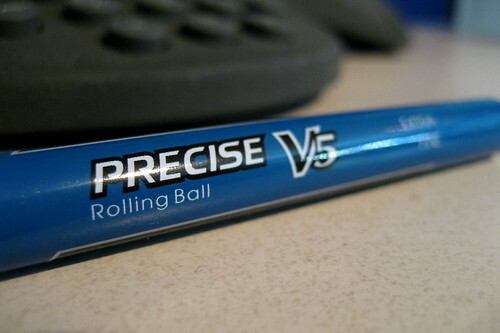 It’s one of the few pens that is capable of keeping up with my thoughts, and I think pretty quickly! I encourage you to try either of these two products or, at the bare minimum, create a “brand loyalty list” of your own to share with your friends…or thousands of internet strangers who read your online journal.